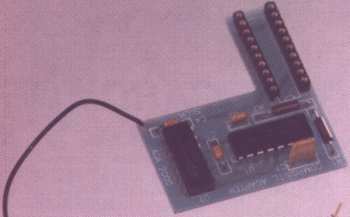 Flicker Fixer which allows the addition of a VGA type monitor to display the Amiga's native video. 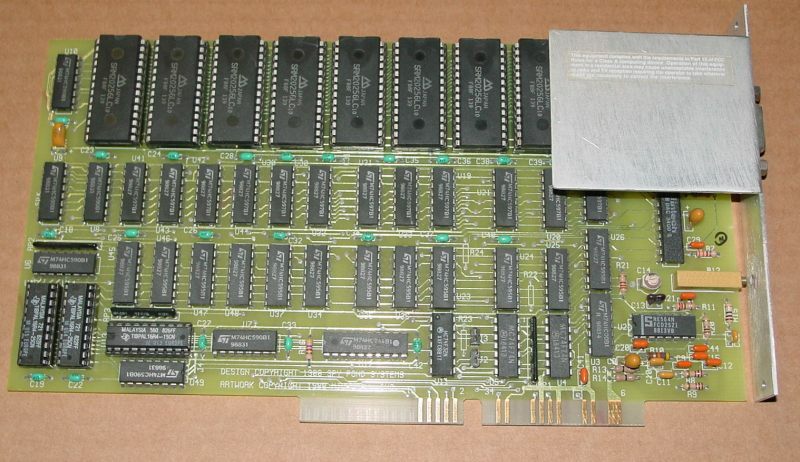 As the name might suggest "AGA" this card is not designed for use in AGA systems such as the A4000. Whilst it can be used in an A4000 it will only promote screens with a colour depth of 12bit or less, be warned. 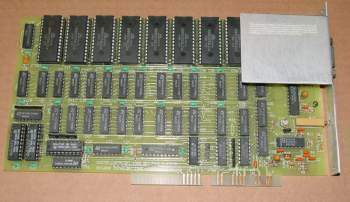 The card actually has an EGA style DB9 connector for use with older monitors, so to connect a standard VGA/SVGA monitor to it you'll require an adaptor. 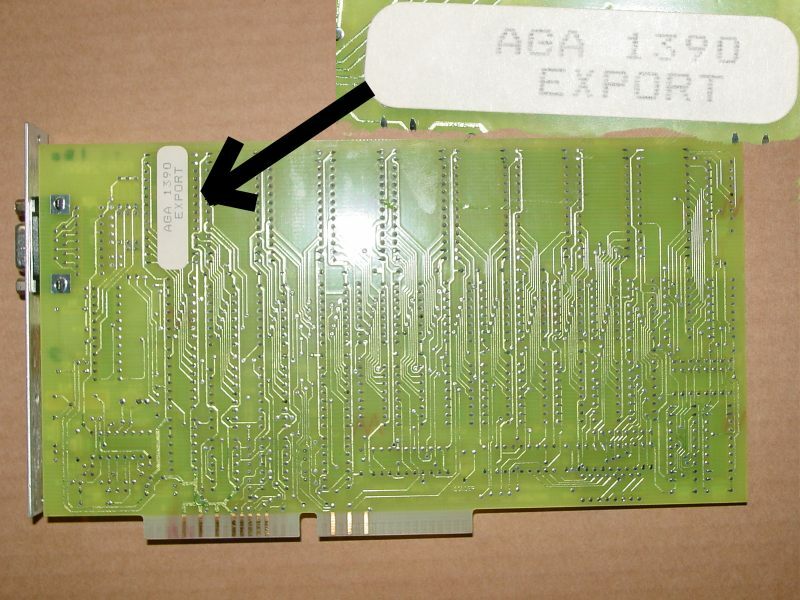 The term AGA for the card was obviously coined before the AGA chipset came into existence. 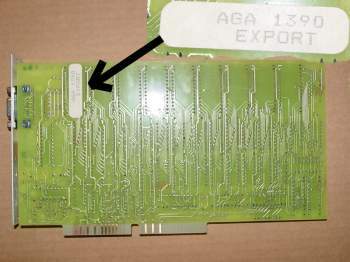 The Export label appears to be a serial number as each version of this card has it's own export number. 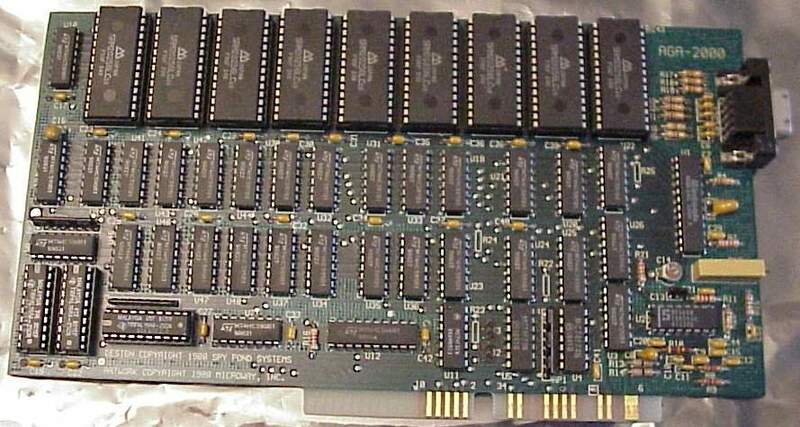 It is not clear exactly what the difference is between the E version of the card, and the non-E version but it has been suggested that "E" might mean European, ie for PAL Amigas. It may also be some sort of revision. An optional adaptor was also available to allows the Flicker Fixer to be used, simultaneously with an external NTSC genlock. Page contributors: Pal Risebrobakken, Pascal Lefrancois.